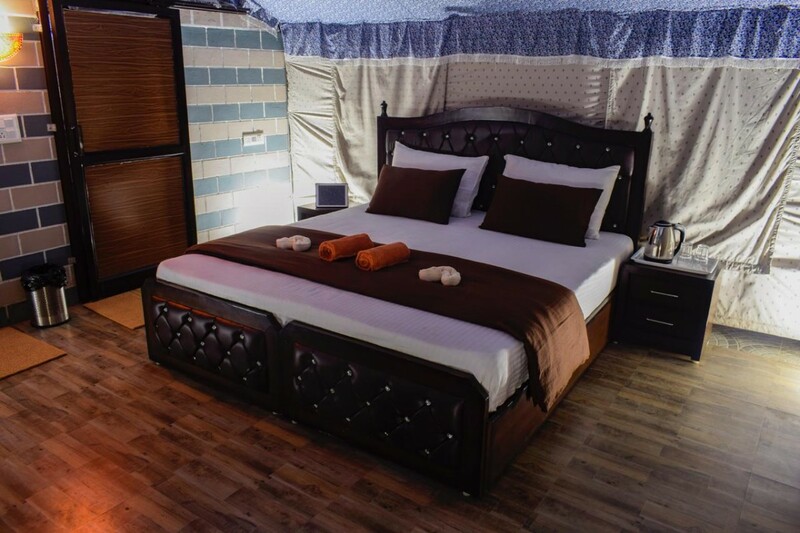 This Rishikesh camping experience, at a campsite near the village of Kaudiyala, is a quaint and peaceful adventure in the high mountains of Uttarakhand. Stay the night in Swiss-style tents pitched just a short walk away from the holy Ganges. At the campsite, you can go on short nature treks or visit the beach or a nearby waterfall. Alternatively, you can also book a rafting or bungee jumping adventure in the city at an extra cost. In the evening, you'll gather around the bonfire and enjoy the star-studded night skies of Rishikesh. 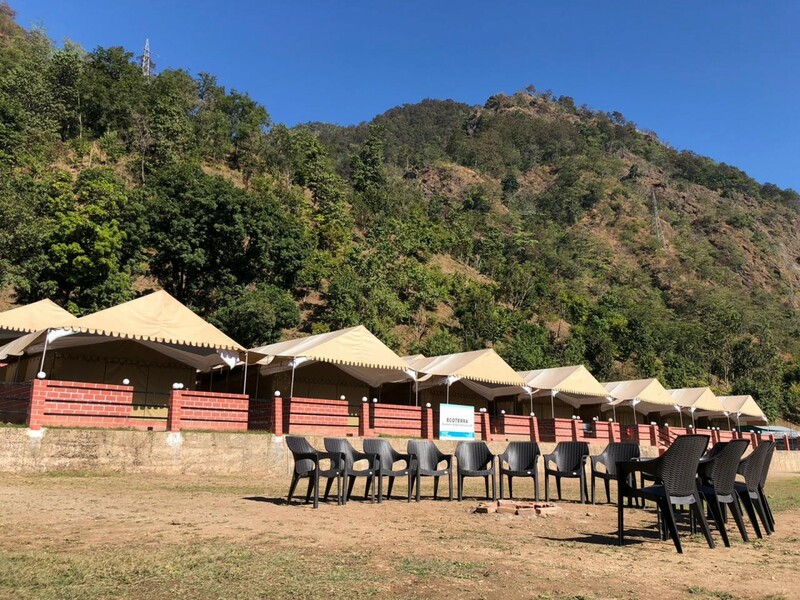 Located to give you amazing views of the green mountain ranges of Uttarakhand, a night at the campsite ensures a fitting close to a day spent outdoors in adventures across Rishikesh. Far from the city lights of Rishikesh, your campsite is located just a short distance away from the holy Ganges, in the village of Kaudiyala. 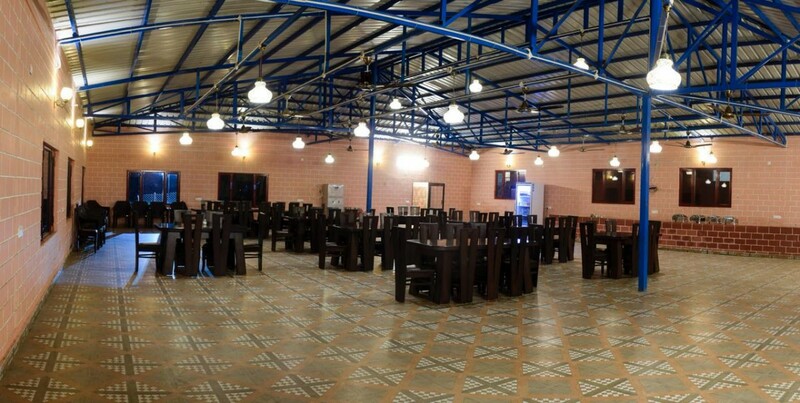 The location is perfect to ensure a holiday steeped in the natural delights of pine-forested mountains, while at the same time ensuring proximity to Rishikesh, located a short 40-km drive from the campsite. You stay in Swiss-style tents that come with an attached washroom, comfortable bed and blankets along a cupboard and table. 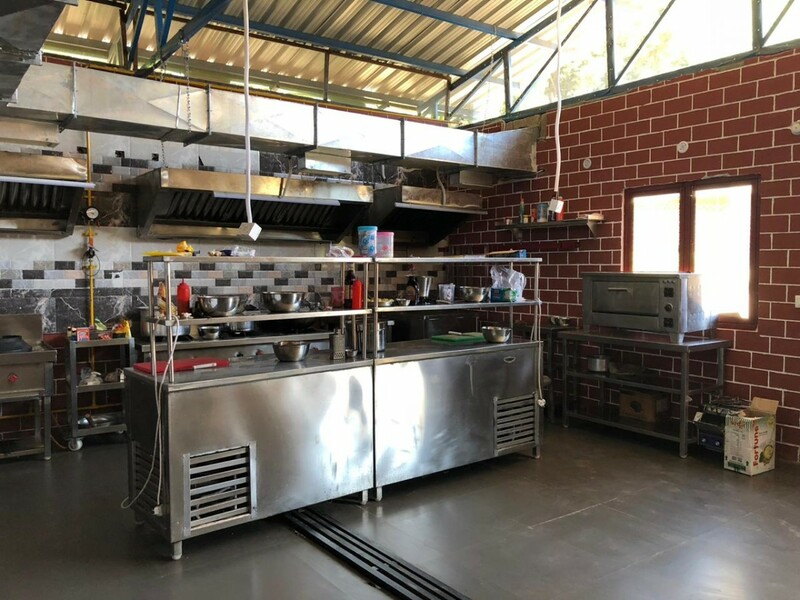 Your meal plan includes delicious, buffet meals served at the common dining area of the campsite, prepared at a multi-cuisine kitchen. • Escape into the hills on this Rishikesh camping trip. 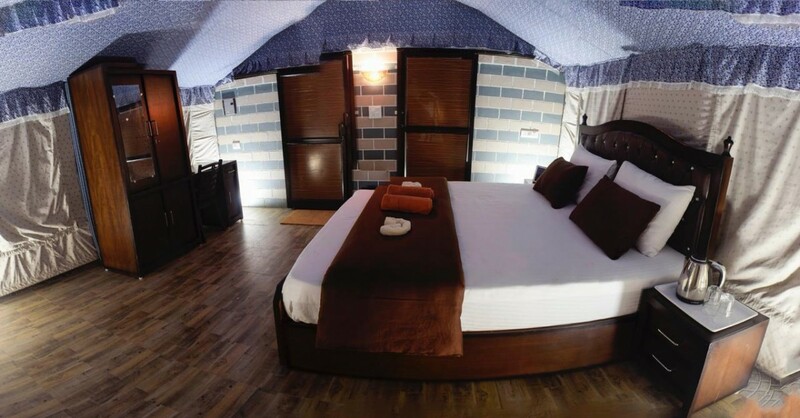 • Stay in Swiss-style tents pitched near the Ganges. • Explore the beauty of the lower Himalayas near Rishikesh. • Catch great views of rolling mountain hills and forests. Riverside camping in Rishikesh is a non-strenuous activity. If you have any cardiac or respiratory conditions, or suffer from knee or spinal problems, please consult your doctor before booking this trip. Travellers are required to follow instructions of the adventure guides while participating in any adventure activity while camping in Rishikesh. If you cancel the Rishikesh camping trip more than 3 days before the check-in date: 80% refund. If you cancel the Rishikesh camping trip 3-2 days before the check-in date: 50% refund. If you cancel the Rishikesh camping trip less than 2 days before the check-in date: no refund. Check-in time at the Rishikesh campsite is at 12:00 hrs, while the check-out time is 09:00 hrs. A delay in check-out will incur additional costs. Travellers are requested to note that no room service is provided at the campsite. Bookings for children younger than 5 years are complimentary. Bookings for children aged between 5-11 years is charged at a 50% discounted rate. Bookings for children older than 11 years is charged at full price. 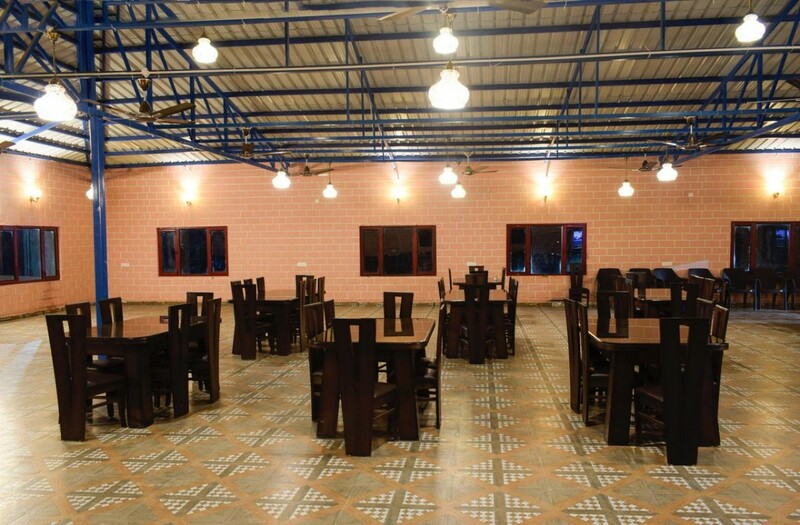 Accommodation for drivers/staff can be provided at INR 500 per person, per night at the campsite, with meals at INR 250 per meal, only upon prior intimation and subject to availability. All travellers are required to carry a valid ID proof in order to check-in. 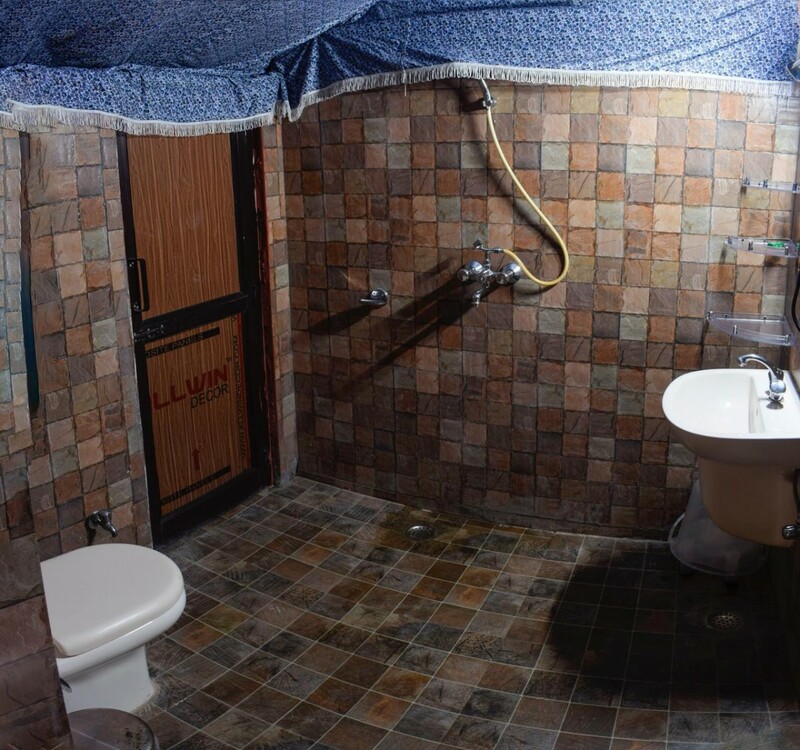 The tour operator reserves the right to alter or cancel the itinerary of this Rishikesh camping trip due to unforeseen conditions to ensure maximum safety of travellers and staff. There is no pick-up for this Rishikesh camping trip. There is no drop-off for this Rishikesh camping trip. Day 1 of camping in Rishikesh: Check-in and enjoy! Arrive and check-in to the campsite by 12:00 hrs. You can spend the rest of the day at leisure. Take a walk along the campsite to explore the area, or head out to Rishikesh to explore the city. 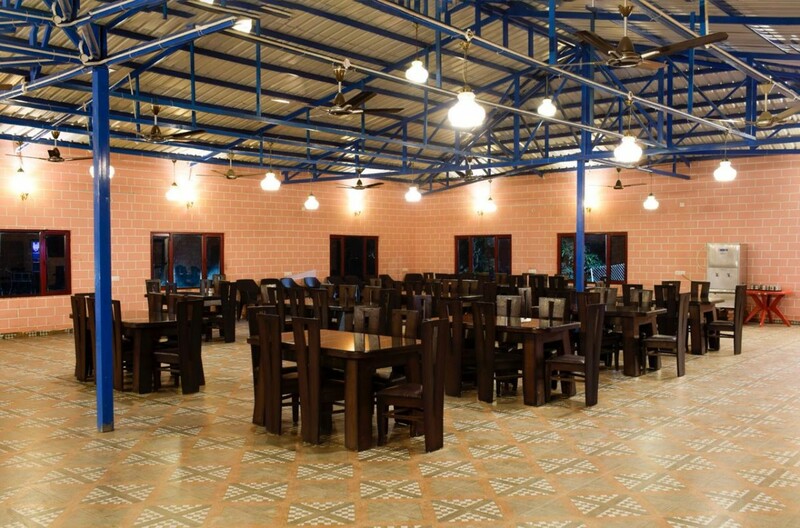 Alternatively, you can also take a tour of the villages, go on short nature treks, visit the Ganges or engage your group with a game of volleyball or badminton. At an additional cost, you can also book a rafting or bungee jumping adventure in Rishikesh. In the evening, you'll gather around a bonfire, subject to proper weather conditions. Overnight in Swiss-style tents at Rishikesh. Spend a night in the gorgeous mountains of Rishikesh. Wake up early to gorgeous morning views of the mountains. After breakfast at the campsite, check-out by 09:00 hrs and proceed to your next destination. Depending on availability, you can even extend your stay at the campsite. Your trip ends here. Overnight in Swiss-style tents at Rishikesh. Check-in time at the campsite in 12:00 hrs. 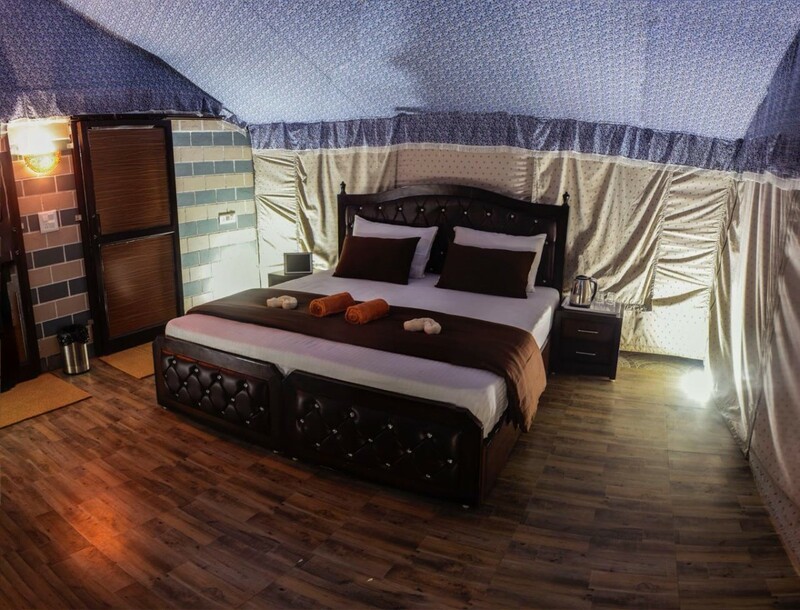 You'll be accommodated in Swiss-style tents on twin-sharing basis. 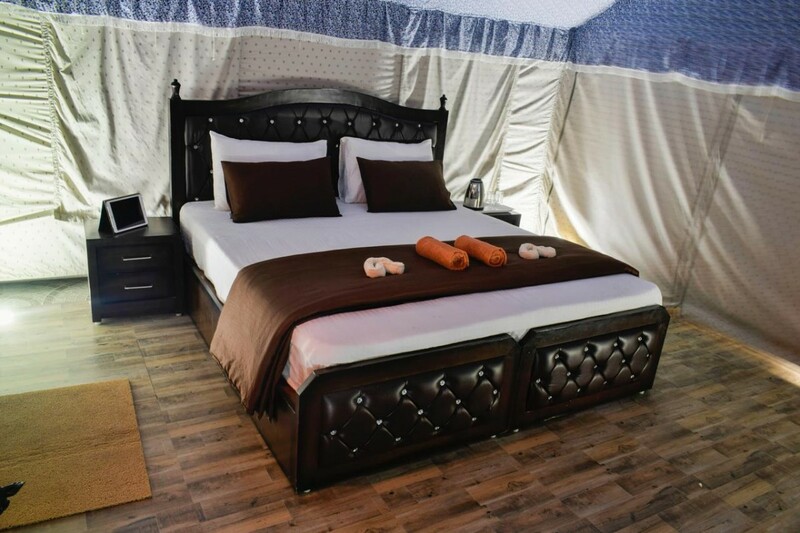 The tents are equipped with attached washroom, bed, linens, pillows, washroom toiletries, pedestal fan, cupboard and table. Today's meal package includes lunch and dinner only. Today's meal package includes buffet breakfast, which usually includes egg preparations. Depending on availability, you can even extend your stay at the campsite. Check-out time at the campsite is at 09:00 hrs. 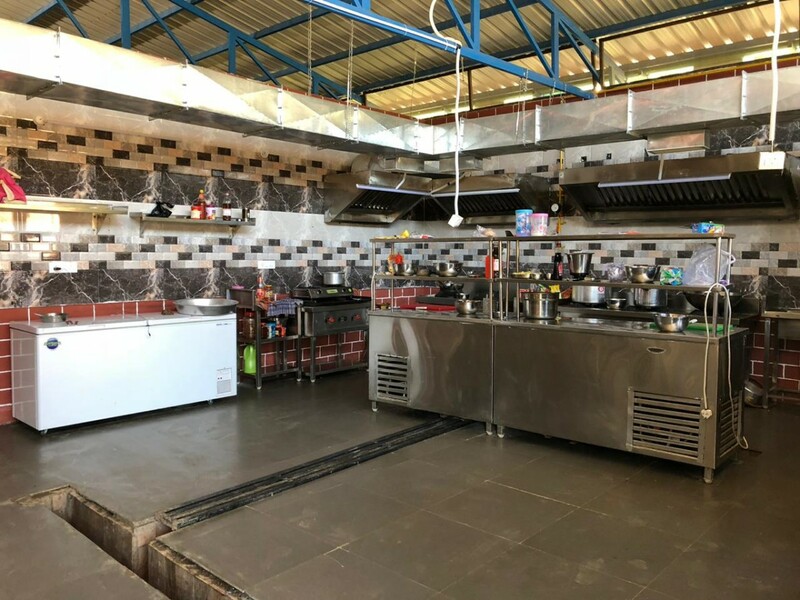 The campsite, accessible via road, is located 55-km/2-hr drive from the Dehradun airport and 40-km/1.5-hr drive from the Rishikesh railway station.